Here are some best free email forwarding services with domain email address. Here using these services, you can create an email address with a custom domain that will forward all incoming emails to you personal email address. Once we covered some free email forwarding services but they provide you a forwarding email address with their own domain. But these services here give you an email address with custom domain to forward incoming emails to your specified address. To use these services, you just need a registered domain and access to its DNS settings. If you have valid domain then it will be very easy to get started with these services. Email forwarding plays an important role in hiding your original email. If you don’t want to reveal your personal email to the world then you can take help of these services. In a few minutes, you can get an email forwarding address that will automatically forward all the emails people send to it. You just sit back and relax and keep receiving email in totally different fashion. In the following post, I will also mention some free G-Suite alternatives that you will like. You just configure the email forwarding and then start receiving email address. ImprovMX is an extremely simple email forwarding services with domain email address. 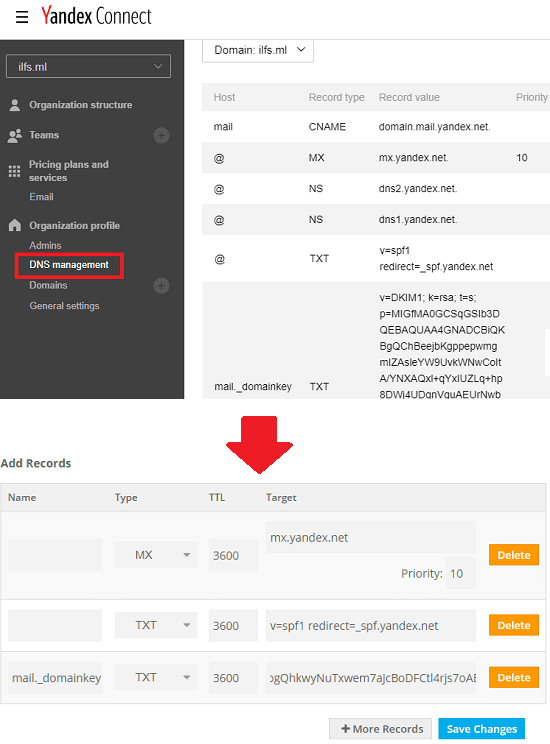 Here you just have to specify the MX records in your domain setting with the one that it gives you. This is a very straightforward services that you can use to get a desired domain email address that will forward all the received emails to the specified destination email. You just have to sign up using your email address and then just configure it in a few minutes. To use this services, simply go to its homepage and then specify your domain and then email address to get the forwarded emails. After that, it will give you two MX records that you will have to add in your domain settings page. 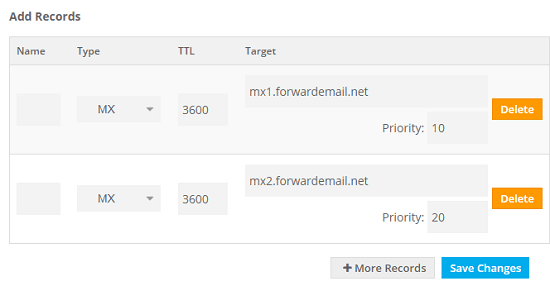 It will verify the MX records and after that, you can create an email address with custom name using its dashboard. You can create the domain email address from its interface and then distribute that to anyone or simply place that on your site. 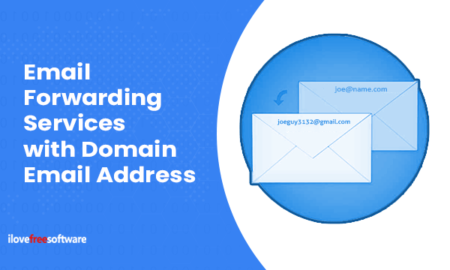 Forward Email is a very simple email forwarding services which provide you unlimited forwarding address with your domain name. This is an open source self hosted services but there is it’s hosted version as well. If you want to use its hosted version then you just have to configure MX and TXT records in your domain settings and you are done. You can create a fixed email address with your domain or there is an option to forward emails when received on any name used with your domain address. Using this service to forward unlimited email to your actual is super simple. Go to the homepage of this service using the above link and in other browser tab go to the domain settings page open your registrar’s website. From the homepage of this service, you have to copy the MX record entries. You can see them below. Now, simply add the MX record entries in your domain settings. As you can see them below. I am using Freenom’s DNS. In the hostname you can leave “@” or simply leave them blank. Now, after adding MX record, you have to add a TXT record as well. This record will responsible for the actual forwarding. In the TXT record, you have to add the following line. You have to replace the “xyz@gmail.com” with the email destination email address where it will forward the received emails. By default, this configuration will send all the emails recover on any of your domain email address to the specified target email address. But if you want to change that. Or, if you want to specify destination email addresses then you can do that. See the more examples here. Yandex Connect is one of the best G-Suite alternatives that you can use right now. After verifying your domain, it lets you create domain email addresses for free. And there is a littler workaround to convert the domain email address you create here to a forwarding address. Once, you have configured the domain and other settings then you are good to go. All the emails received on the organization email, will be redirected to the email address that you specify. 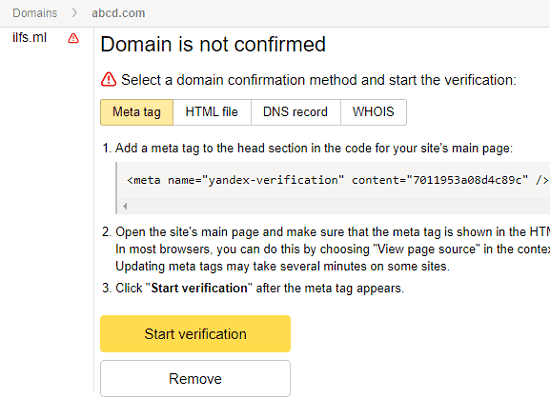 And the best part here is that you will get an option to save the copy of the email addresses that you will recover on the domain email addresses created in Yandex Connect. Make sure that you have a registered domain name, then you can through the following steps. These steps will guide you how to use this method to get a forwarding email address with domain name. Step 1: Go this link and then sign up for Yandex Mail account with domain. After that, start setting up and verifying your domain. Step 2: The first part is to only verify that your domain exists and you have access to it. For that, simply choose any verification methods that it shows. Currency, there are 4 but you can choose any one that you find easy. Step 3: After the domain is verified, you have to set up the MX, SPF, and DKIM records. You can copy the details of these records from the “Domain management” section and then add the on the domain settings page. Step 4: Now, give it a few hours to validate the MX and other records that you have configured. It may take more than 1 day as well. But if it still shows details unverified then you can start adding the team members. Form the “Organization structure”, section create a user. In this users, you basically creating a an address that will be used for the forwarding. Step 5: Now, the domain email address has been created, you can use it to log in the newly create email account in Yandex. After that, go to the settings and choose “Message filtering” option. 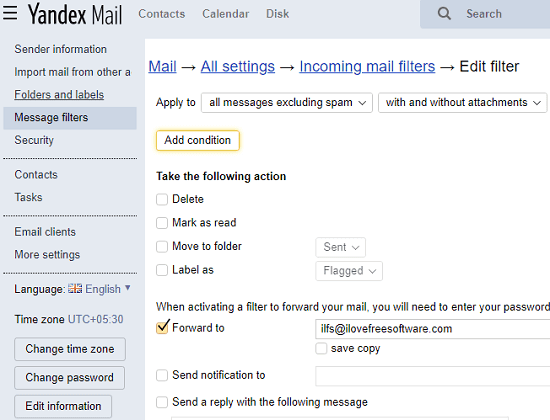 Step 6: In the Message filtering option, enter the email address where it will forward all the incoming emails. You can discard all the conditions if you want. But if you want to configure some other things such as only forward email matching with certain criteria, etc. At this posy the forwarding is configured on the Yandex side. The last steps that remains after this is that you verify the target email address where it will forward all the incoming emails. It will send a link on the target email that you can click to start receiving emails that will be sent on the domain email address that you have created. 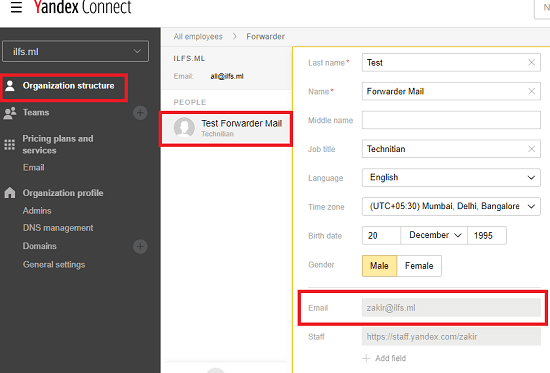 In this way, you can use Yandex Connect to create a free forwarding email address for you. It just requires that you have registered domain and access to its settings. After that, you can just follow the above instructions. And if there are any other services like Yandex Connect then you can use this method in those as well. If you try to search for best email marketing platforms out there then you will definitely get Mailgun on the first page of the SERP. Mailgun offers numerous features that you will like such as free SMTP server, domain email address with 10000 emails per month. And the best part there is that you can use this service to create a forwarding email addresses as well. You can use the Route feature and then simply specify the target email address where you’d like to receive the forwarded email addresses. However just like other services, you will have to verify your domain here first. After signing up for a free account, add your domain and then verify it. It asks you to add MX, SPF, and some other records in your domain settings panel. To configure the email forwarding part, go to the Routes section and then specify some conditions. To convert the current address as forwarding address, you can opt for the “Forward” option in Action field. Specify the other parameters and then save it. From now on the email address you have added here will forward all emails it receives to the destination email you specify. 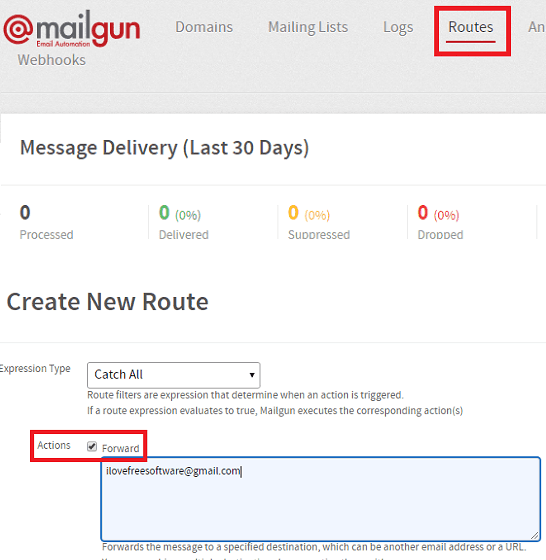 Here this is the process of using Mailgun to create a forwarding address with custom domain. If you have heard about Mailgun then you should start with this. However, for using it for free, you will have to add your credit card in it. I will recommend you to use a virtual credit on this and you can create one from “Privacy.com”. After so much of research, these are only free email forwarding services I found with domain email address. All these services are easy to use. However, some of them take so much time in the MX and other configuration but in the end will give you a fully functional forwarding email address. 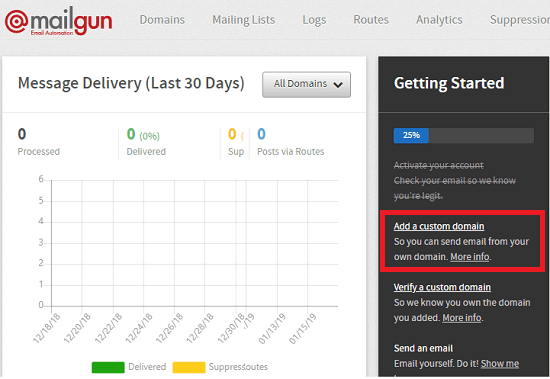 Personally, I will recommend you to use Yandex and Mailgun as they are fastest when in receiving and forwarding emails. Other twos services can forward emails but they are not that fast. So, if you are looking for some free email forwarding services then this article will be helpful.